We have 358 job offers for you! Newly graduated, looking for a new job, a new challenge? Then living and working in Curacao is the challenge for you. These useful tips are not only for those who want to emigrate to Curacao, but also for those who already live here and are looking for jobs Curacao or want a change in their career. It seems so beautiful, living in the paradise of Curacao. But yes, money has to be earned so you will have to find work. And then it often becomes difficult. Applying for jobs in another country is more difficult. A different culture, more difficult contact with each other, etc..: it does not help. Yet there are many factors that determine your success when applying for a job on Curacao, which you have influence on yourself. The better you respond to all factors, the greater the chance of a successful application in Curacao! The Profilami Jobs Curacao Job Board will certainly be a great help in finding a job on this beautiful island. Please bring neat clothing when you apply for a job on Curacao! Especially if you are looking for work on Curacao, it is absolutely recommended to make a vacation to Curacao for orientation. Plan to visit in advance at recruiters or temporary employment agencies. Then you get a good idea of the possibilities, the available vacancies and – not unimportant! – they get a good impression through your personal visit that you are really serious. It turns out that many people who only search for work via mail ultimately never go to Curacao. Show that you are a serious candidate, even if it costs extra time and money! 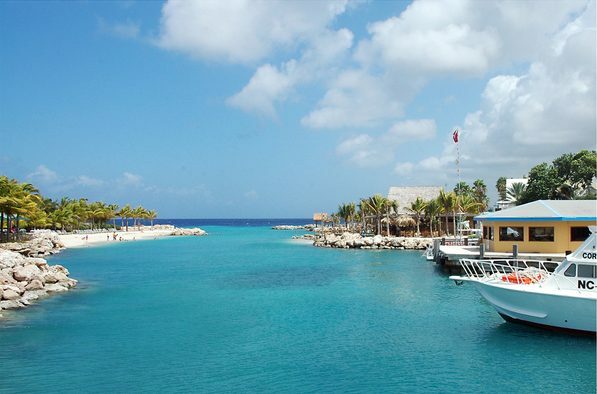 Oh yes, Curacao may be a holiday island: take business clothing with you on this trip! Personal application on Curacao yields so much more than just sending an email! The culture on Curacao revolves around personal contact. Are you used to communicating a lot via e-mail in the Netherlands? If you apply for jobs Curacao, you will probably not even get a response if you only send an e-mail. Personal contact is really a must. Try to get in touch with the relevant manager by telephone beforehand, and if you are on Curacao you should definitely go by yourself. That really gives you a better chance for a follow-up for your application on Curacao than just sending an email that you are interested. Use this to your advantage! Once you have met with a supervisor, you can approach him or her more easily for additional information or to show yourself again. Curacao is really an island where everyone knows each other. Especially among the Dutch on the island it is a relatively small world. Not that everyone is constantly in contact with each other, but if you speak to a local during a Happy Hour, you have a reasonable chance that he or she can take you a step closer to a job. In any case, the business culture on Curacao is much more of “awarding each other”, especially on the higher level functions. When applying for jobs Curacao, it sometimes seems really more important who you know than who you are! Take every opportunity to make it clear to people on Curacao that you are applying. See the point above: the networks are there on Curacao, you just have to maximize your chance that someone from an interesting network hears about your job search. Many people who want to go to Curacao state that it does not matter which job they can get, they are open to everything. This open attitude seems good but can work against you: Nice that you are open to working in a completely new branch for you, but the employer still prefers someone with experience, sincere interest and / or a training in that direction. It is stronger when you can clearly indicate what your experience is and what specific wishes / requirements you have for a new job. Even though Dutch is still just an official language on Curacao, if you are going to live on Curacao you can only truly integrate (both socially and commercially) and speak Papiamentu. Of course, you can already start a course Papiamento, and it will stand out positively with a possible employer if you can speak a few words of Papiamentu during a job application. You can also look op translations to Papiamentu on this website: English to Papiamentu. Being nonchalant will seldom result, that certainly applies to applying for jobs on Curacao. The sending of open applications will usually be successful. You may be happy if there is a reaction if you have sent an open application to a company on Curacao. You can find vacancies online on the Profilami website.